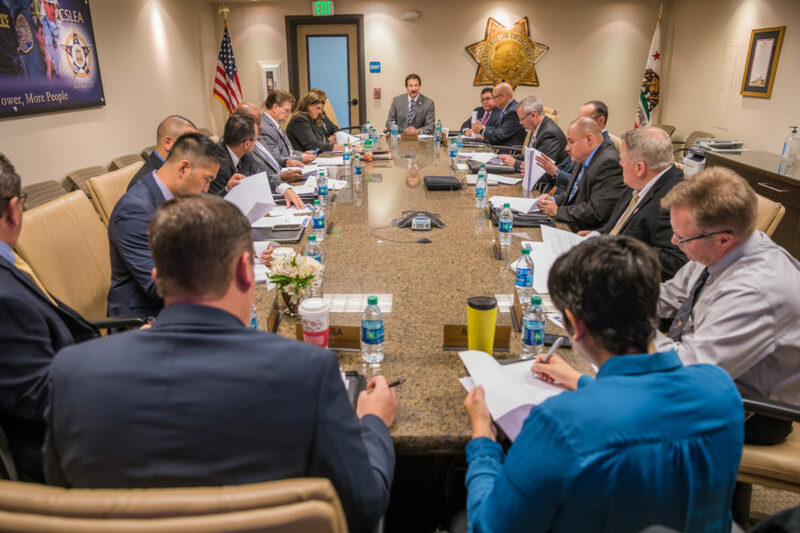 SACRAMENTO – California Statewide Law Enforcement Association (CSLEA) officers and directors met at CSLEA headquarters November 6-7, 2017 for their fourth quarter board meeting. In addition to receiving updates from consultants and staff, the board had the opportunity to listen to presentations from, and ask questions of, numerous candidates who are running for election for the offices of Governor, Lt. Governor, Attorney General, State Superintendent of Public Instruction, and the Board of Equalization. "These are candidates you will see on the ballot next year and they are seeking CSLEA's endorsement," said CSLEA President Alan Barcelona. 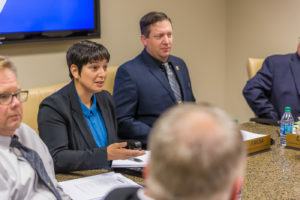 "Their visits to CSLEA headquarters to attend our board meeting is a way for our entire board of directors to meet them, ask them questions and discover for themselves whether a candidate has our members' best interests at heart. Our directors are very frank with their questions and have no problem finding out where these candidates stand on pensions, health care, salaries, affordable housing and state workers." 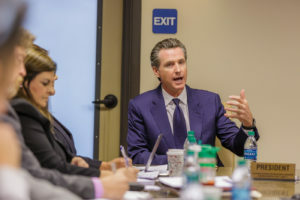 Gubernatorial Candidates Travis Allen, Delaine Eastin, Gavin Newsom and Antonio Villaraigosa. Lt. Governor Candidate Eleni Kounalakis. 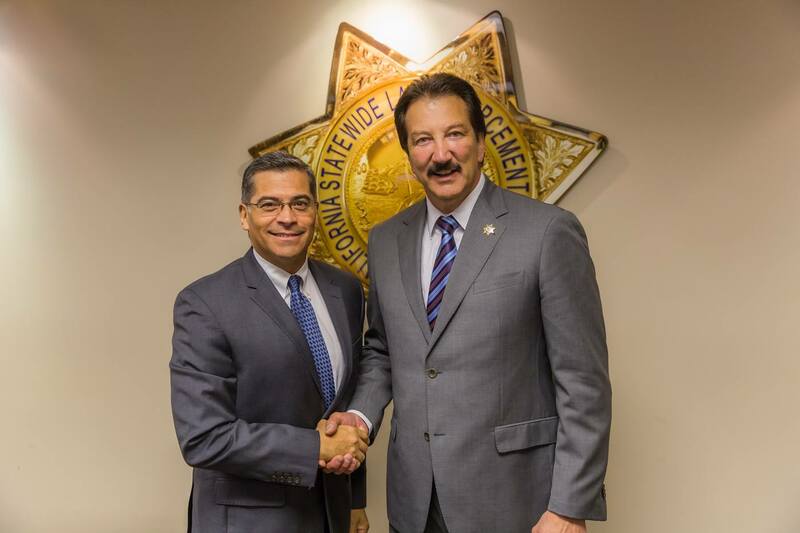 Attorney General Candidate Xavier Becerra. Board of Equalization Candidates Rudy Bermudez, Cathleen Galgiani, Tony Vazquez, Scott Svonkin, and Ted Gains. Superintendent of Public Instruction Candidates Tony Thurmond and Marshall Tuck. 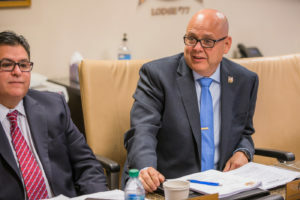 “We heard from many other candidates during our third quarter board meeting and, as a board, we are now making decisions on endorsements,” said Barcelona. 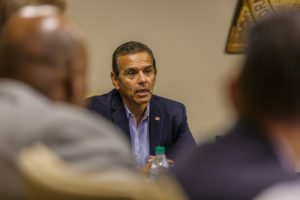 "Interviewing the candidates is important work that needs to be done and I am honored to represent the men and women special agents of the California Department of Justice," said CSLEA Director and Association of Special Agents-DOJ President Al Cardwood. "Interviewing these constitutional candidates is a great opportunity for me to bring up a historical perspective of the hard work my membership has done consistently for over 25 years, yet our compensation (salaries) has fallen behind the standard within our law enforcement communities." 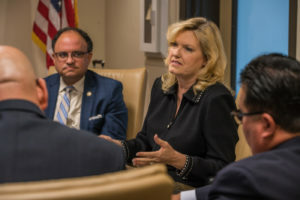 "The fourth quarter CSLEA BOD meeting was jam-packed with political candidate interviews, a full financial review, and the regular agenda items," said CSLEA Director and Association of Motor Carrier Operation Specialists President Lynn Brenneman. "The work being done now will pave the way for our next negotiations. I am encouraged and hopeful." 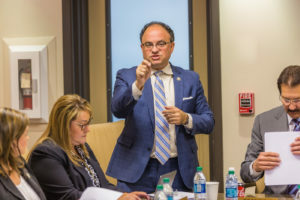 "Meeting candidates for constitutional office helps reinforce critical relationships that insure CSLEA members have a voice at the Capitol," said CSLEA Director and Association of Deputy Commissioners Marcus Nenn. 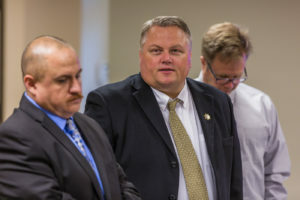 ‘The responsibility to conduct a proper vetting process prior to endorsing any potential lawmaker is among the most important responsibility I have as the representative of the members of AMVIC,” said CSLEA Unit A Vice President and Association of Motor Vehicle Investigators of California (AMVIC) President Kenny Ehrman. CPA Steve Olds summarized the annual audit of CSLEA finances. CFO Ricardo Sanchez shared CSLEA's financial report, including assets, liabilities, equities, and the yearly budget. Communications Director Teri Cox updated the board on media items including eblasts, social media, communications, and video plans for the remainder of the year. 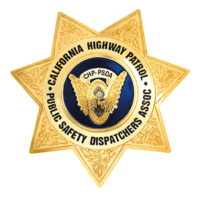 The video report included a special presentation on CAL FIRE Communications Operators’ work during the North Bay fires. Foundation Chairman Kenny Ehrman and President Barcelona discussed a $10,000 donation to the CSLEA Foundation which will fund the scholarship program. Conference Committee Chair Tina Brazil reported her current work on a celebration of life ceremony for late CSLEA Director Bernadette Gonzalez. CFO Ricardo Sanchez presented a membership report including the current number of members, the work to reach all professionals in Bargaining Unit 7, and emphasized that CSLEA is available to any member. "We are available by phone or in person," said Sanchez. "We don't ever want our members to say, 'we don't see you.'" 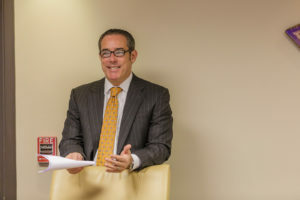 Chief Counsel Kasey Clark presented the Legal Representation Committee and Legal Defense Fund (LDF) report, including an update on arbitration cases, the growth of the LDF and the new use of LDF for administration conflict cases. 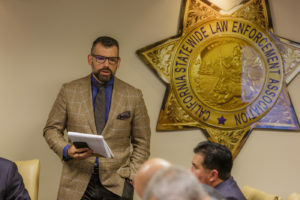 Legislative Advocate Shane LaVigne spoke to the board about bills CSLEA supported and opposed during the legislative year and discussed topics of possible legislation in the next year including sexual harassment, police transparency, and legislation surrounding Proposition 47. New legislative proposals should be in by mid-February. Political Consultant Peter Mitchell reviewed the constitutional candidates for the board of directors to consider for endorsement. 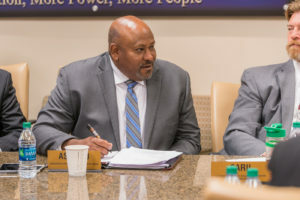 The Board wrapped up its two-day meeting with a motion by CSLEA Director and California Association of Food and Drug Investigator President George Tiongson to dedicate the two days of work to the late CSLEA Director and Coalition of Licensing Registration Examiners President Bernadette Gonzalez. Gonzalez past away October 26, 2017 after a battle with cancer. 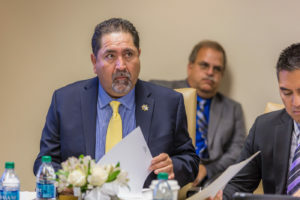 The CSLEA Board welcomed new Director and COLRE President Enrique Razo and offered any assistance he might need as he now leads the association of licensing registration examiners. 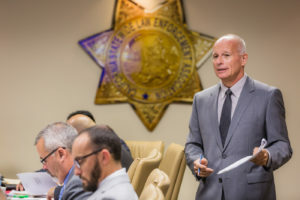 The CSLEA board meets four times a year. 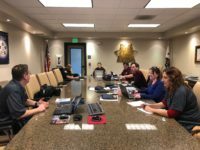 The next CSLEA board meeting will likely be held in March.